In this clip from BBC Earth, a huge bear was captured by cameras as it destroyed and burglarized a parked car. 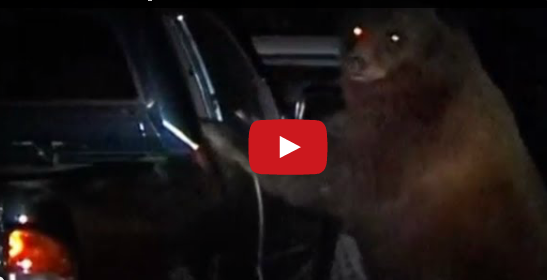 In the video, the bear is seen trying to rip off the door of a parked car. The animals is so huge it towers over the car. The bear was able to break a window but was startled when he saw rangers approaching. Having been around people too much, the bear has lost its fear in humans so it tried to frighten the rangers away by charging towards them. Bears destroying cars is not uncommon. The animals do it all the time. Hundreds of bears attack cars every year causing millions in damages.